Eminem has spent the holidays doing what I presume all rappers do over the festive season, reviewing diss tracks with his manager. This wasn’t just for fun though, although I’m sure it was a great laugh, this was part of Shade 45 radio’s aptly named feature, 12 Days of Diss-Mas. While counting down his favourite rap feuds, along with long-time manager Paul Rosenberg and DJ Whoo Kid, Em couldn’t help but pay tribute to his number one choice, a song he believes was a game changer. 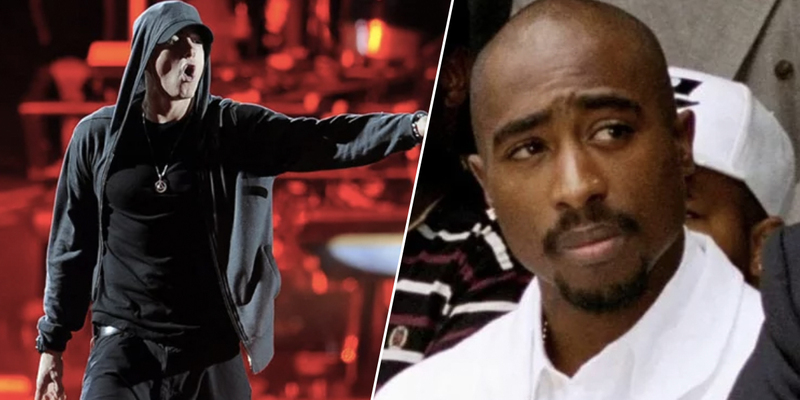 Specifically, Tupac’s Hit ‘Em Up, which Em claims changed the way rappers took snide shots at each other through the medium of albums forever. That, I feel like, was the first time I ever heard anybody get that personal on a diss. Most of it was personal, below-the-belt jabs, but it was done so well and the record was just so crazy. The Tupac-Biggie thing was tough because you liked them both. You were stuck in this weird thing where you were bumpin’ a Tupac diss record, then you were bumpin’ something from Biggie that might be dissing [Tupac] in it. His list also included notable entries like Ice Cube’s No Vaseline and Dr. Dre’s Dre Day.